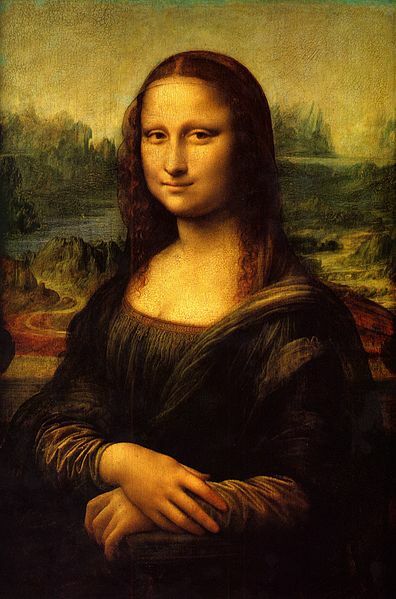 The Mona Lisa, one of the most famous portraits in the world. I can ask “What is it like?” and “What does it look like?” but NOT “How is it?” Why not? Continue reading to find the answer! Hello, and welcome back to Mistake Monday! If you’re in Costa Rica and had a break last week, I hope it was relaxing. “¿Cómo es?” is used for physical descriptions or talking about personality. “¿Cómo está?” is commonly used to describe temporary conditions or feelings. If you remember when to use these phrases, then you should be able to avoid this confusion. This is basically the same question, but instead of talking about one person, I’m talking about a group of people. “Everyone” in this context means “all of my students.” It just looks strange because “everybody” refers to a group, but grammatically, it’s singular. Just think of the word “every” as considering each individual person in a group. Ms. Bloom: Good afternoon, class! Ms. Bloom: Good to hear. Now, who’s absent? Where’s Jane? Ron: She’s still in the hospital, remember? Ms. Bloom: Oh, that’s right! I forgot about her broken leg. Did you talk to her? (2)________________ ? Ron: She’s doing better. She should be out soon, at least according to Dr. Jackson. Ms. Bloom: Dr. Jackson? I know a Dr. Jackson who works at the hospital. Do you mean Sheila Jackson? Ron: Ummm, I’m not sure. I don’t know her first name. Ron: I’m not very sure. She seemed nice, but she was also very professional. I didn’t really talk to her much. Ms. Bloom: OK, but can you describe her? (4)________________ ? Ron: Oh! Well, she’s fairly short, she has dark skin, and she has long, wavy hair. She’s very pretty… she has a wonderful smile with perfect teeth and soft, smooth lips, and she’s got big eyes that are the color of the ocean at night. She also has an incredible body– I think she must work out! Ms. Bloom: Well, that doesn’t sound like the Dr. Jackson I know, but it does sound like you want to get to know this other Dr. Jackson! Haha! (3) – What is she like? That’s all for today. If you have any questions or comments, please leave a comment below or send an email. Thanks for reading, and have a good day!